She had to deal with this negativity just as she celebrated having two million followers on Instagram. Celebrating having two million followers on Instagram, Chie Filomeno thanked her followers for putting up with her “craziness, OOTDs, and endless selfies.” In the sea of congratulatory messages, one comment from a basher caught Chie’s attention. “Retoke pa rin ang ilong mo and we 2M followers know that. I mean some lang ‘cause manloloko ka,” one user said, according to ABS-CBN.com. 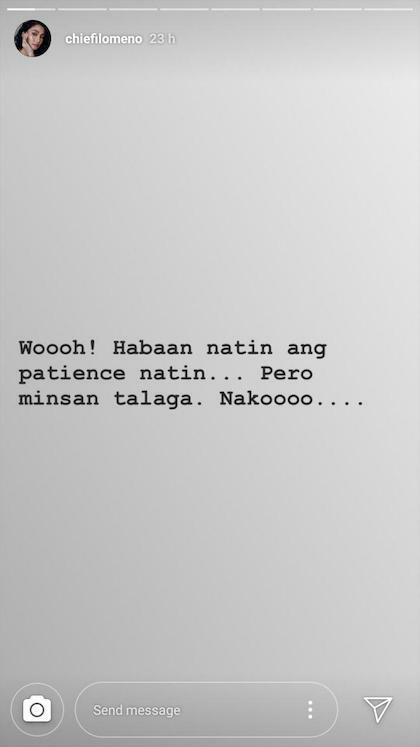 On IG Story, Chie also said, “Woooh! Habaan natin ang patience natin. Pero minsan talaga. Nako…"